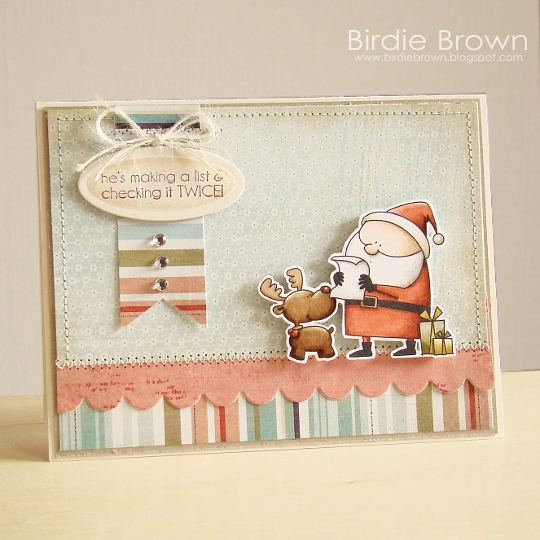 Today I' d like to share three cards I made using the Happy Santa set. It is so fun using non-Christmas papers for a Christmas card. :D I'm so happy with the shabby look on this card. This is a quite simple and quick card! The embossing folder I used for this card is one of my recent favorites. Thank you for looking! Have a wonderful day. FABULOUS cards!!!! Oh! Love them all...2nd one is my favorite! Love that Santa!! Love all 3 cards! I can see why that embossing folder is a new favorite....it is awesome! Love the images and the cards! Omg these are so adorable!!!! Your cards always make me smile. Great new set! Torico - I LOVE the "have you been good this year" card. I found it on Flickr and HAD to come see it! Everything about it is just perfect! I'm going to have to get those stamps! Oh my Goodness...this are the most adorable Santa stamps ever!